Mr. Brian Hartford, Senior Associate, is based in Chicago, Illinois. An energetic professional, he has over 10 years’ experience gained through hands-on advisory engagements, working with businesses to solve complex issues. His broad business consulting experience includes financial restructuring, turnaround management, performance improvement, valuation, buy- and sell-side transaction advisory, forensic and complex accounting services and sales and marketing campaign design, implementation and execution. He has worked across several industries including technology, healthcare, metals and mining, transportation, logistics, manufacturing, automotive, gaming, restaurants/hospitality, real estate, and food and beverage. Mr. Hartford has invaluable experience working on engagements in distress, bankruptcy and special situations. 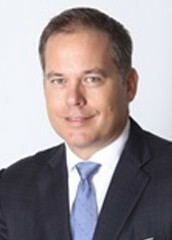 His work in the turnaround and restructuring space includes advising the unsecured creditors committee in an airline industry Chapter 11 reorganization; advising a restaurant chain on financial viability and strategic value; and working with debtors to stave off liquidation for an engineering services firm. Mr. Hartford has been a restructuring and valuation professional for Newpoint Advisors Corporation, American Appraisal Associates, LBD Partners and Huron Consulting Group. Additionally, he has held sales, marketing and business development positions with several technology start-ups, and founded, ran and sold a successful satellite television distribution company. Mr. Hartford earned his degree in finance and accounting from DePaul University, holds a Certified Insolvency and Restructuring Advisor (CIRA) designation and is a Level III candidate for the Chartered Financial Analyst (CFA) designation. He is a member of the Turnaround Management Association (TMA) and the Association of Insolvency and Restructuring Advisors (AIRA).